Applications are now open for a new £2 million fund giving communities the opportunity to vote on how money is spent in their area. The Community Choices Fund is a new £2 million fund to support participatory budgeting (PB) in 2016/17 for more people to have a direct say in how, and where, public funds can be used to address local needs. 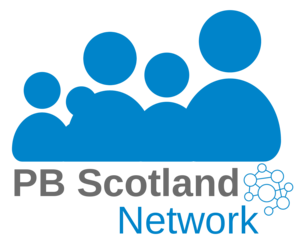 Targeted particularly at work in deprived areas, the fund aims to build on the support provided by the Scottish Government for PB since 2014, and is part of a broader agenda around democratic innovation and engaged citizenship. To date the Scottish Government has been working in partnership with local authorities to deliver PB. However, this fund will also help open up opportunities for other public authorities, community organisations and Community Councils to engage with and deliver PB. Part of the new fund will be used to continue with a national PB package of support but £1.5 million of it is now open for applications in two categories of £750,000 each. Category one is open to Public Authorities which includes Local Authorities and other Public Bodies. Category two is open to Community Organisations and Community Councils. The fund will support PB activity which will significantly expand opportunities for more local people to make decisions on local spending priorities and contribute to local democracy. Please note that the closing date for applications is midnight 29 July 2016. More information on how to apply can be found on the Scottish Government website.